Susan and Goksel will be at the Smart Cities Innovation Summit in Austin. Goksel is the Sponsorship Chair of the 13th Embedded Vision Workshop. We will be at IEEE CVPR Conference in Hawaii. We will be at InterDrone in Las Vegas. 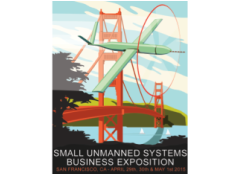 We will be at the Commercial UAV Expo in Las Vegas. Susan and Goksel were at the Drone Energy Summit in Houston. Susan and Goksel were at the Public Safety Broadband Stakeholder Meeting in San Antonio. Goksel attended AutoSens in Detroit as a member of the Advisory Board. Goksel participated to NCEES Professional Engineer's Licensing Meeting in Atlanta. We were at AUVSI's Xponential in Dallas. We were at the Embedded Vision Summit in the Bay Area. We were at Automate in Chicago. We were at the Consumer Electronics Show in Las Vegas. We attended the Commercial UAV Expo in Las Vegas. We attended 3DV at Stanford. 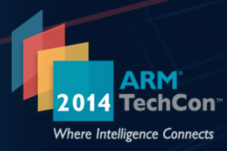 We were at ARM TechCon in the Bay Area. Susan attended the Product Development and Management Association annual conference in Atlanta. We were at RoboBusiness in the Bay Area. Goksel was on the Advisory Board for AutoSens in Brussels. He was there as co-Program Chair and presenter. We were at InterDrone in Las Vegas. Goksel was the Sponsorship Chair of the Twelfth Embedded Vision Workshop. 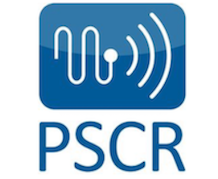 We were at the IEEE CVPR Conference in Las Vegas. 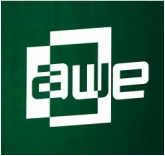 We attended the Augmented World Expo in the Bay Area. We attended Xponential in New Orleans. Goksel presented at the sUSB Expo in San Francisco. Goksel presented at SPAR 3D Expo & Conference in Houston. Goksel presented to Computer Visionaries in Dallas. Goksel presented at the inaugural Texas UAS Summit in Austin. Goksel presented to Drone Startup Meetup Community in San Francisco. Goksel presented at REAL 2016 in San Francisco. We attended the Consumer Electronics Show. We attended the Drone World Expo. Goksel demonstrated GerbilBall to the UAV Alliance. We attended the Commercial UAV Expo. As a member of the Advisory Council, Goksel attended RoboBusiness. Goksel presented at the InterDrone. Goksel was the General Chair of the Eleventh Embedded Vision Workshop. We presented a poster at the Fourth Vision Industry and Entrepreneur Workshop. We attended the IEEE CVPR Conference. We attended the Embedded Vision Summit. 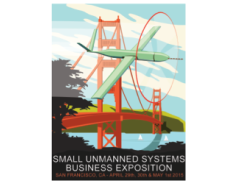 Goksel presented at AUVSI's Unmanned Systems. We attended Drones, Data X. We attended the sUSB Expo. We attended the NAB Show. We attended the NRF's Big Show. Goksel shared his insights at the Design World webinar. Robotics Sensing: Frontiers in Visual and Tactical Sensing. Goksel presented to the IEEE-CNSV. We attended the Bay Area Vision Meeting. We attended the ARM TechCon. Goksel presented at Image Sensors Americas. This interview was published ahead of the conference. at the IEEE CVPR Conference. Goksel was the Program Chair of the Embedded Vision Summit. He also presented a tutorial on Embedded Lucas-Kanade tracking and demo'd Bug-Off! Goksel presented at the Wearables DevCon.